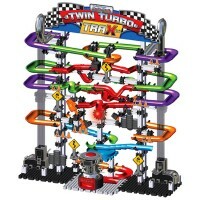 This action packed 300+ pieces Marble Mania Vortex 3.0 set is a delight for young engineers and curious builders! 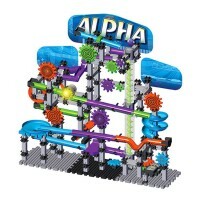 Create incredible marble runs and see them in action with an updated edition of the Learning Journey bestselling Techno Gears set! 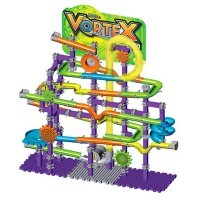 This Vortex 3.0 building set includes some exciting brand new features such as an automated marble launcher, gear launcher loop, marble twister, various 3-D connectors, and lots of amazing new channels for you to connect your marble rollercoaster with. 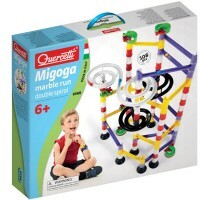 Building your one-of-a kind marble run can be easy or challenging. 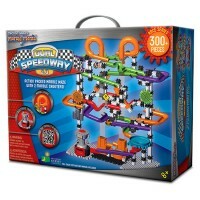 Use as many of the 300+ pieces as you want to create a colorful rollercoaster. 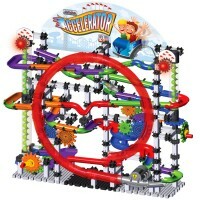 Your run can build the king of marble runs or just a cool gears rollercoaster that can be enjoyed many times. 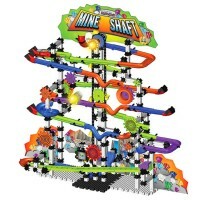 After children build their marble run, they can watch marbles go down it and launch marbles with the automatic marble launcher. And Vortex set makes fun space sounds!!! 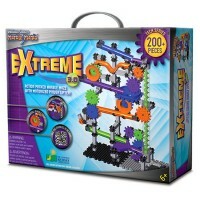 Vortex 3.0 Techno Gears Marble Mania 300 pc Building Set from Educational Toys Planet is a great gears construction kit for building and observing. 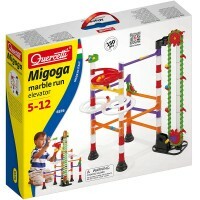 This exciting kids motorized construction kit can be enjoyed by children with family or just by themselves. It is a great creative plaything to use with friends. 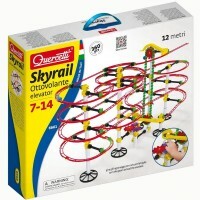 Children can even have marble races on their rollercoaster. This Vortex marble rollercoaster requires 3 AA batteries (not included). 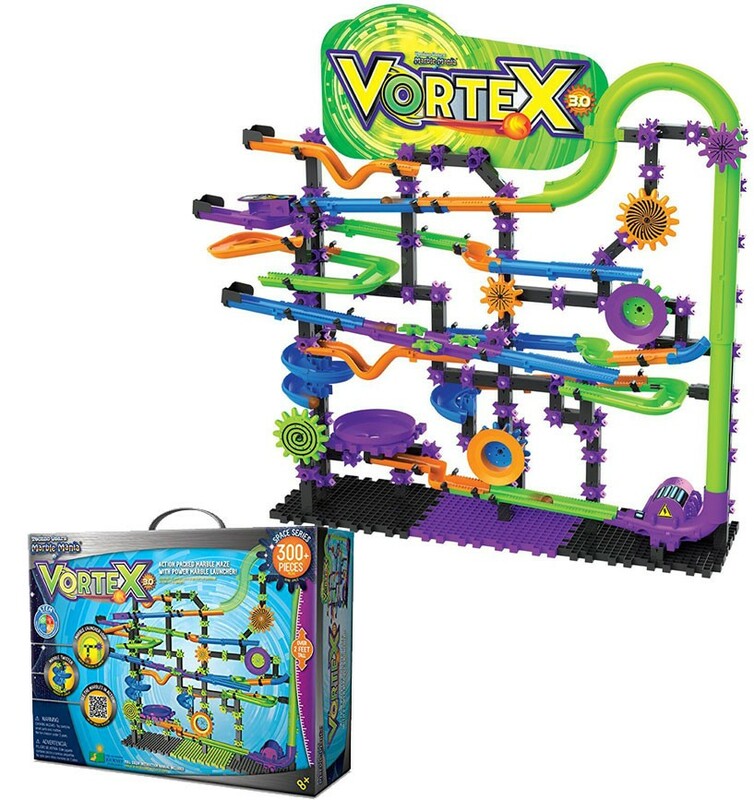 The 300+ pcs Marble Mania Vortex kit is a great toy for young engineers and builders. 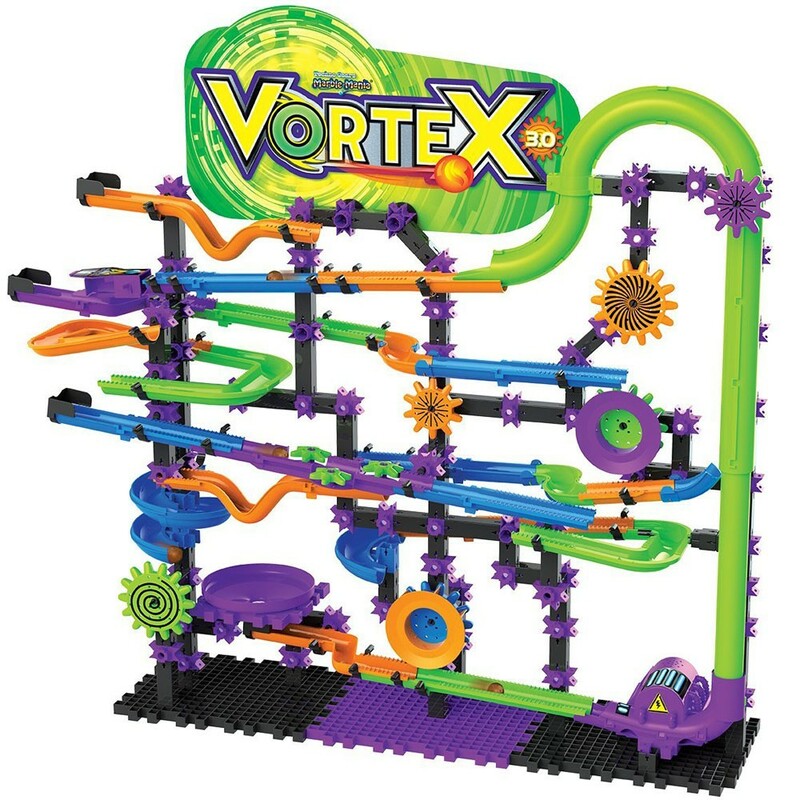 Dimensions of package 6" x 18.15" x 13.5"
Write your own review of Vortex 3.0 Techno Gears Marble Mania 300 pc Building Set.